Located on the second floor, the George Thorman Room houses a varied collection of materials pertaining to the history of the City of St. Thomas. Items in the collection include: Newspapers, City Directories, Railroad Collection, and many other materials. Start your research by viewing our User Guide! Local history materials are not allowed to circulate, but photocopying is permitted. If you have any questions, please ask at the Information Desk in the Adult Department and a staff member will be pleased to assist you. You can also call us at 519-631-6050 or email us. The microfilm collection includes St. Thomas newspapers from 1832 to the present. Patrons are encouraged to reserve a microfilm reader/printer in advance. Note: Indexing of St. Thomas newspapers in the surname card index is incomplete after 1919. Elgin OGS has indexed the newspapers up to 1961 on their website (www.elginogs.ca). Other indexes on the OGS site include census records, land records, vital statistics, funeral home records, and will and probate records. Several surname card indexes are located in the George Thorman Room and are a good place to begin a search for an individual or family. References to such crucial information as births, marriages, and deaths can be found here. 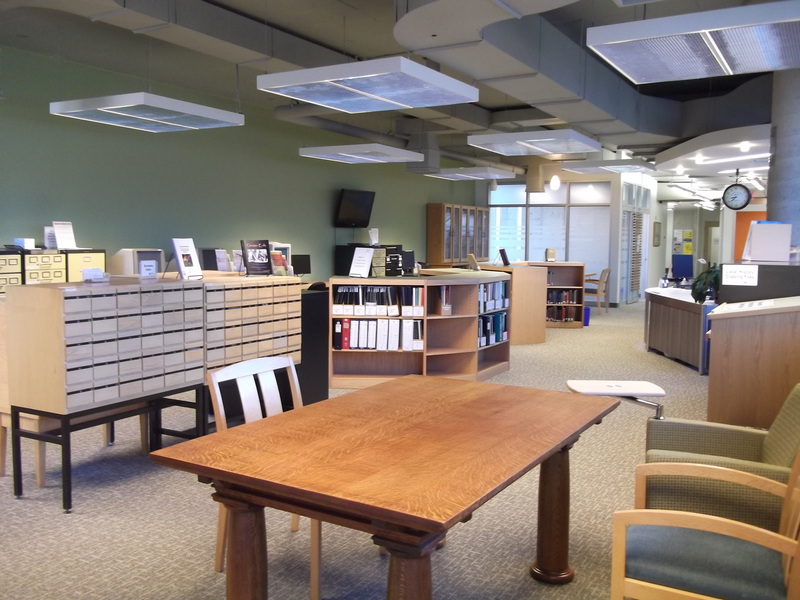 These references will direct you to the book shelves (pink shelves), the filing cabinets (Local History Clipping Files; Blue shelves), or the microfilm collection. Ancestry is the world’s renowned and most comprehensive genealogy website. Members of the St. Thomas Public Library can access many of the services Ancestry has to offer via our Ancestry Library Edition subscription. This is only available in the library – you cannot access this at home. Ancestry Library Edition is a user-friendly website: visit www.ancestrylibrary.com. All the records can be accessed through subdivisions: Census, Births, Marriages and Deaths, Military etc. Within these subdivisions, you can search in specific record collections, or conduct a general search for your ancestor.